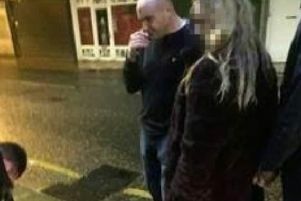 Richard Darren Farrimond (31): Coronation Drive, Higher Fold, Leigh - Without reasonable excuse, failed to surrender to custody at Wigan and Leigh Magistrates’ Court: Fined £20, pay a surcharge to fund victim services of £30. Steven Andrew Fitzmaurice (30): Primrose Street North, Tyldesley - Assaulted Steven Hunter by beating: Nine-month community order with alcohol treatment programme and six-week curfew, pay a surcharge to fund victim services of £30, pay costs of £150 to the Crown Prosecution Service. Eric Barry Phenix (25): Chettham Road, Swinton - At Leigh, drink driving on the A580 East Lancs Road in a Jaguar with 94 microgrammes of alcohol in 107 microgrammes of breath, with the legal limit being 35 microgrammes, drove while disqualified and drove without insurance: Jailed for four months, suspended for two years, pay surcharge to victim services of £115, pay costs of £85 to the Crown Prosecution Service, disqualified from driving for five years. Gary Shane Morecroft (38): Atherton Road, Hindley - Used threatening or abusive words or behaviour within the hearing or sight of a person likely to be caused harassment, alarm or distress: Discharged conditionally for 12 months, restraining order not to contact Mark Prescott for 12 months, pay a surcharge to fund victim services of £30, pay costs of £85 to the Crown Prosecution Service. Carl Taylor (43): Cedar Road, Leigh - Failed to comply with the curfew requirements of a community order given for shoplifting from Asda: New community order enforced with drug rehabilitation requirement. Martin Paul Smith (30): Coronation Avenue, Atherton - Without reasonable excuse, attended the address of an ex-partner which they were prohibited from doing so by a restraining order: Jailed for four months, offense so serious because of an extensive history of domestic violence, pay a surcharge to fund victim services of £140. William Stephen Threlfall (35): Carr Street, Hindley - Entered as a trespasser at Market Street, Hindley, and stole power tools to the value of £5,000: Jailed for 16 weeks, suspended for 12 months, offence so serious as damage caused and high-value tools taken to fund drug habit, pay £500 compensation. Daniel Mark Coffey (20): Wash Lane, Leigh - Failed without reasonable excuse to comply with the community requirements of a suspended sentence order: Fined £40. Ryan Maguire (36): Malvern Avenue, Atherton - Failed without reasonable excuse to comply with the community requirements of a suspended sentence order: Fined £35. James Roy Irvine (32): Ennerdale Road, Hindley - Stole bricks to the value of £100 belonging to John Unsworth: 12-month community order with unpaid work requirement for 100 hours, pay surcharge to fund victim services of £85, pay costs of £100 to the Crown Prosecution Service. Claire Myra Forbes (36): Millers Lane, Platt Bridge - Stole six packs of steak to the value of £18 belonging to Iceland stores and four other shoplifting offences: Jailed for 12 weeks, suspended for 12 months, drug rehabilitation requirement, pay surcharge to victim services of £115, pay costs of £100 to the Crown Prosecution Service. Anthony Nightingale (19): Stanley Road, Platt Bridge - Made indecent photos of a child and possession of an extreme pornographic image: Guilty pleas given and sent to Bolton Crown Court for sentencing on July 14. Jack Halliwell (27): Daleside Avenue, Ashton - Stole clothing to the value of £281 belonging to Marks & Spencer: 12-month community order with drug rehabilitation requirement, fined £50, pay a surcharge to fund victim services of £85, pay costs of £85 to the Crown Prosecution Service.